Thank heaven and my son Paul for a bumper crop of delicious champion tomatoes. Totally organic — just Paul’s hard work planting and tending, watering, and Florence Park sunshine yields the perfectly formed delicious tomato that God intended. 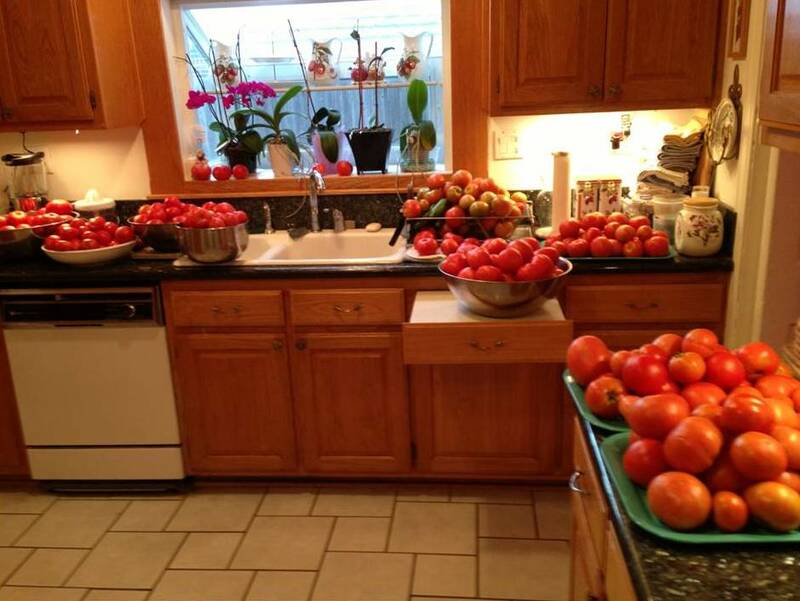 We’ve been eating, canning, freezing and sharing tomatoes with friends and neighbors. What a blessing! This entry was posted in Faith, Health, Healthy Living, Nutrition.